Does anyone know what these might be? 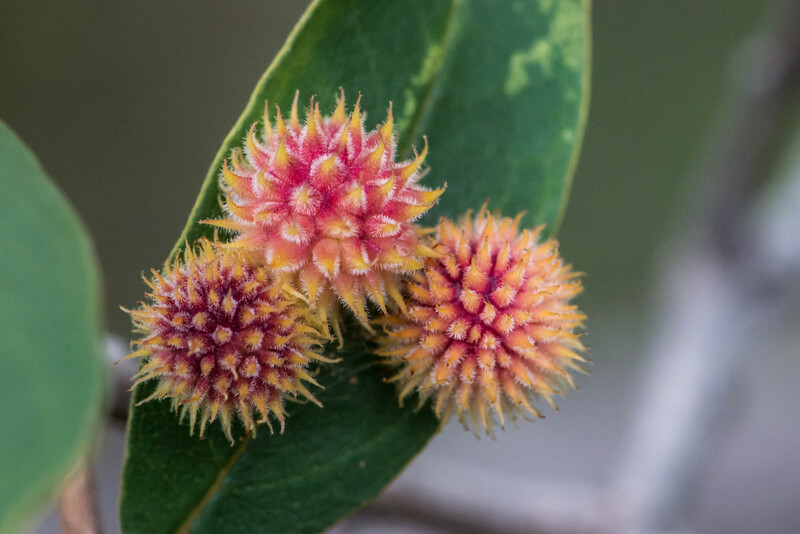 Interesting - If they were firmly attached to the leaf then some sort of gall if not then they look like plant seed pods. Thanks. I don't know if they were firmly attached, if they really were spider eggs, I'm glad I didn't meet the mom! I consulted with an entomologist friend of mine and he thinks they are probably plant galls induced by a wasp in the family Cynipidae (Hymenoptera – so a plant feeding wasp).